This means that you will see an obstetrician at the hospital for most appointments along with a high-risk midwife.  Most pregnancies are managed by midwife-led programmes, but if you have a higher risk pregnancy, for example, you have health problems such as diabetes, there's a family history of medical problems, or you are carrying more than one baby, you may move to obstetrician-led care. 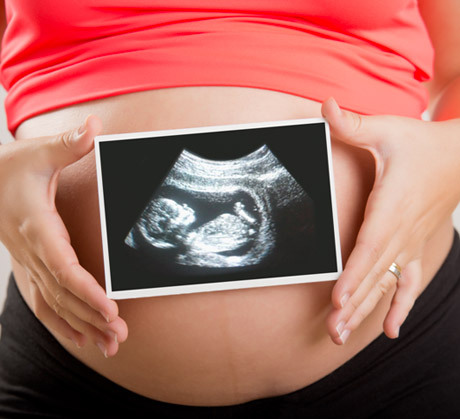 This means that you will always see an obstetrician at the hospital for every appointment. He or she will review your medical notes, arrange for extra scans and if necessary discuss your baby’s medical needs before and after the birth. Lots of women who have obstetric led care go on to have perfectly healthy babies and straightforward births, so don’t automatically panic if you are referred to an obstetrician. Extra scans give everyone advanced notice if your baby becomes unwell and the hospital can arrange to deliver your baby a little earlier if needs be. Does the weight and the shape of my bump make a difference?